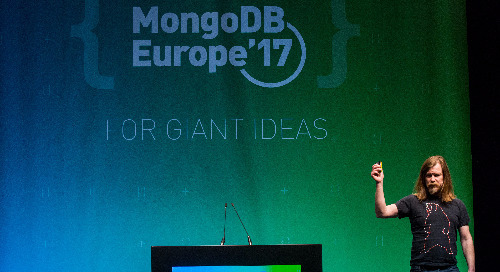 In this third webinar of our back to basics series Joe Drumgoole, Director of Developer Advocacy EMEA at MongoDB, introduced the different approach document databases require to organise your data. Rather than normalisation we look at a hybrid approach to schema that provides a coherent mapping between objects in your application and objects in your database. Then we optimised that schema for query purposes based on the pattern of queries we expect to see. Finally we showed how dynamic schema and schema validation allow you to extend your schema in a controlled fashion.